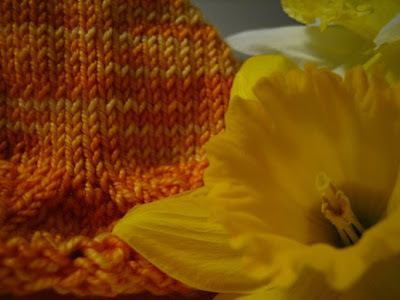 Eve 2 is off to a running start with one pattern repeat off the needles. Yippy Skippy! Shocker of shockers. Kristy is still on AI...Hmm...Perhaps the Portland State Vikings have a chance against the Kansas State Jayhawks afterall. Shocker were the other two in the bottom two. Sad that rocker girl is gone so soon. And Irishgirlie, wow...do I have to start voting?! You called it, didn't you? I was so sure that Kristy had to be off tonight...how can they do this to us and make us suffer through another week? I suppose next week will be country...I didn't see what it was. Seeing Eve 1 in person, I personally can't wait for this pattern to be written and on my own needles! It's really stunning G. You are the master.